To celebrate the relaunch of the Tunbridge Wells Store this Easter Oak Furniture Land commissioned a special 3ft White Rabbit Cake based on the 1865 illustrations by John Tenniel from the Lewis Carol fairytale ‘Alice in Wonderland’. This is the forth local commission from Oak Furniture Land received by Kent CakeBomber Francesca Pitcher of North Star Cakes. 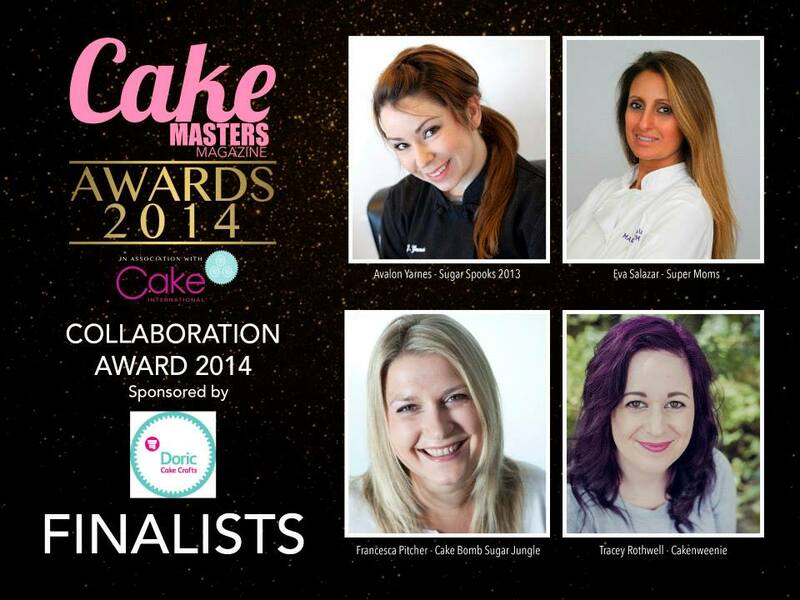 Francesca was delighted to take on this latest challenge from the furniture specialists, “making this well loved character for Oak Furniture Land was such a pleasure and so different from the usual commissions I get, I’m very lucky to be asked to make such varied cakes for a company that supports local events and causes and I’m so happy to be asked to take part in one of their store openings for a forth time”. 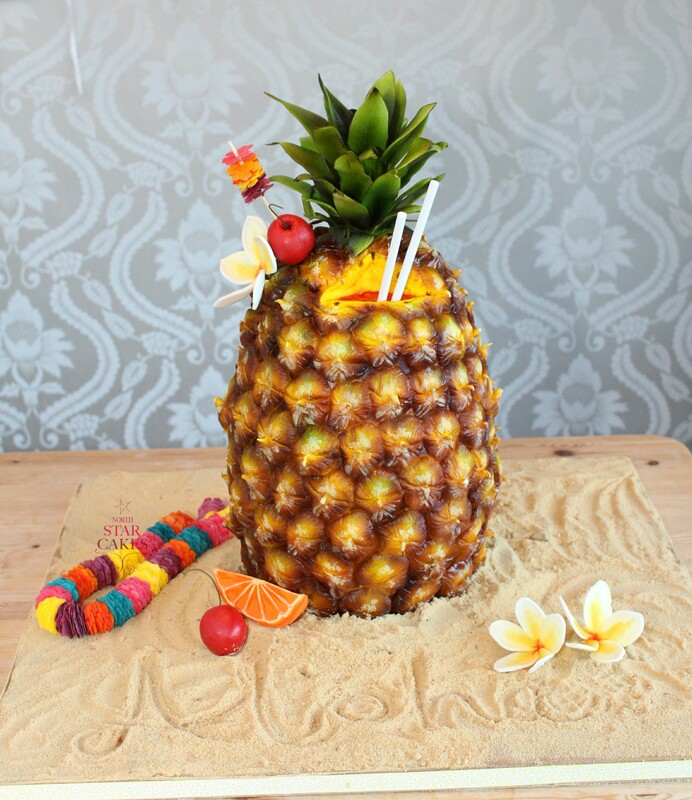 The Cake has a strong internal structure allowing it to stand on two legs and is made up of seven 8 inch square sponge cakes expertly sculpted into shape by Francesca. 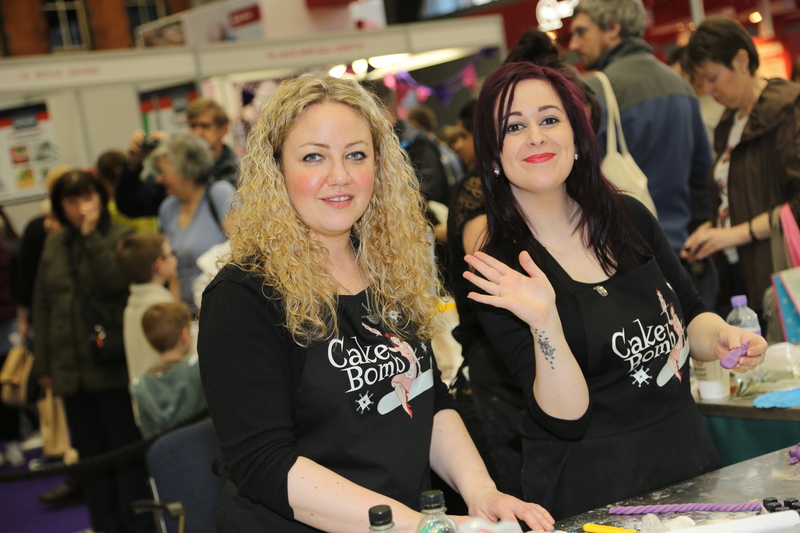 The cake was filled with heaps of Madagascan vanilla buttercream and covered in white chocolate ganache before modelling started. All the small details are made from edible materials including the buttons, embossed gold pocket watch, playing cards, and dirt! 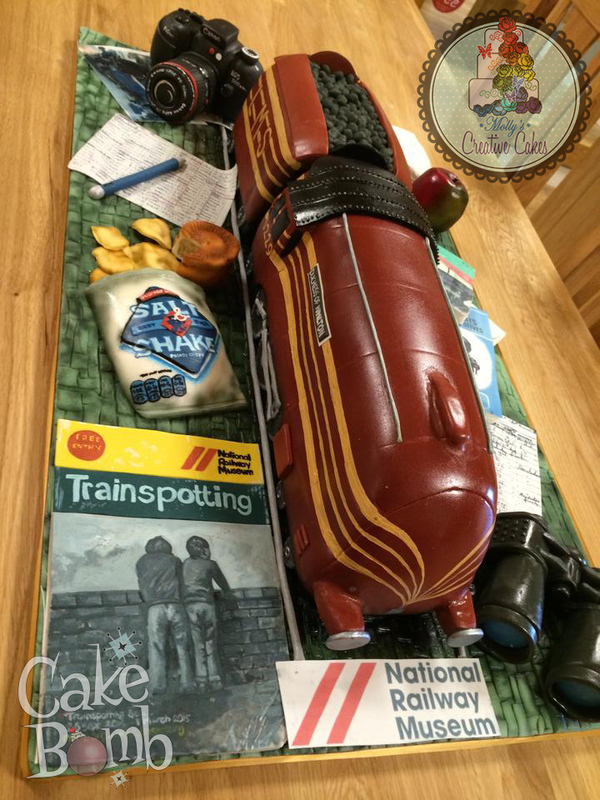 Francesca even had to cut a paper dressmakers pattern in advance so that she could then make the edible sports jacket complete with ‘leather’ elbow patches for the white rabbit to ensure that it would all fit correctly on the cake. You might think that going to this level of detail in confectionary seems extreme but Francesca said of the cake, “making a pattern for an edible jacket in order to dress a cake rabbit is just one of the many necessary but unusual skills I’ve acquired in the name of cake art – it’s all in the detail”. 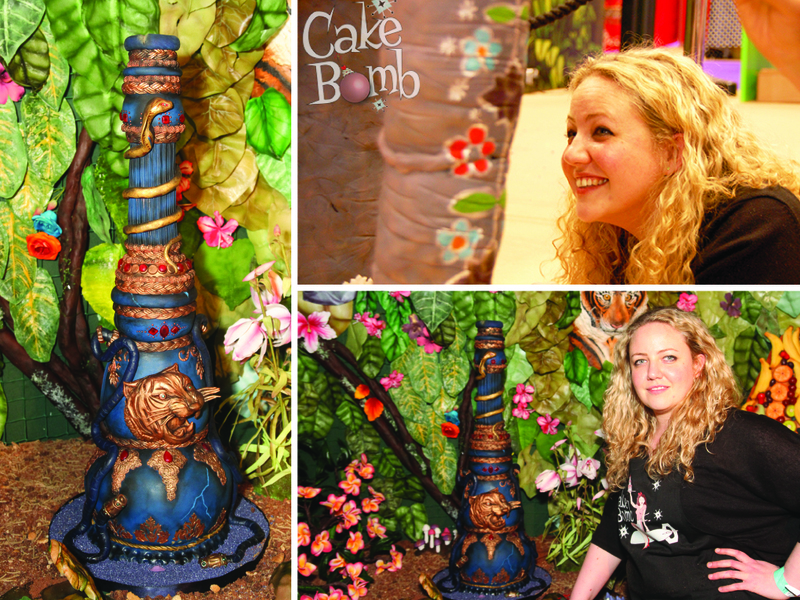 The cake was later donated by Oak Furniture Land to Groombridge Place for their special ‘Alice in Wonderland’ Easter Holiday Event and was put on display in the restaurant before being consumed by the public. 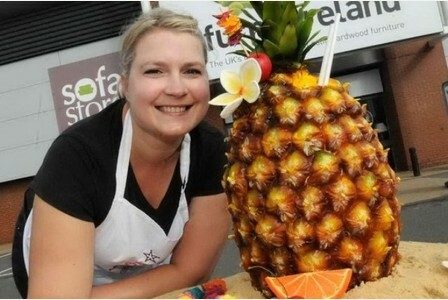 More information on the Tunbridge Wells store opening Click here. 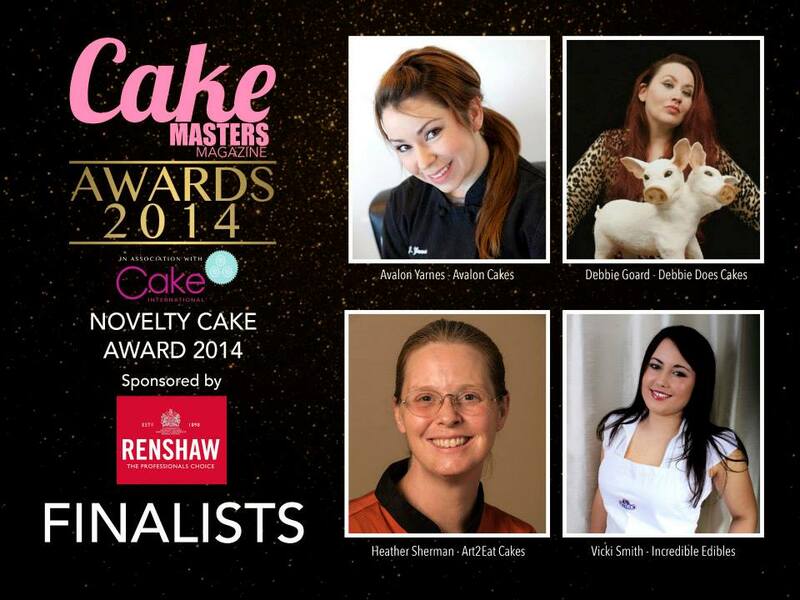 For more images of the White Rabbit Cake please visit North Star Cakes on Facebook. 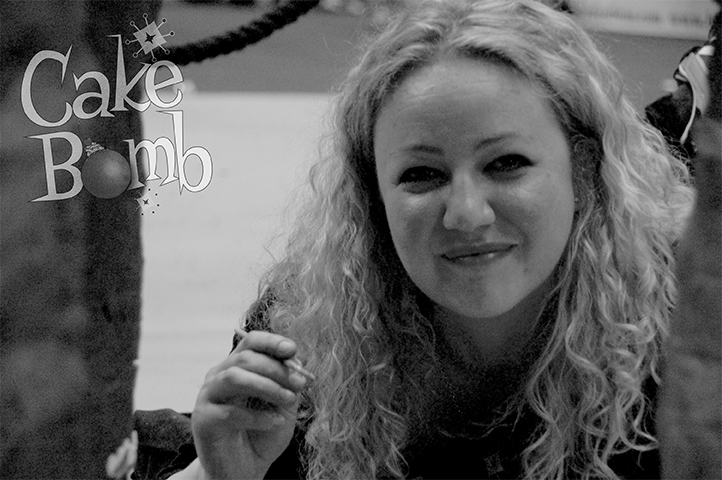 Francesca with ‘Baa Larkin’ and Amir Hawila of Oak Furniture Land, Maidstone. 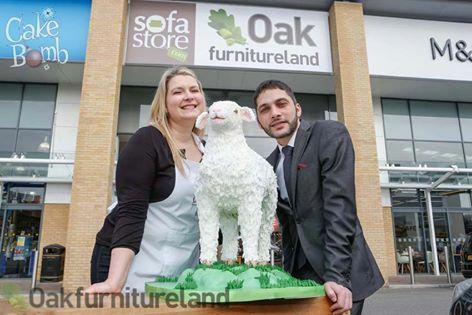 Ahh, Spring is well and truly here, and to celebrate their latest store opening Oak Furniture Land commissioned CakeBomb to make a life-sized baby lamb cake for their Maidstone store over the Easter Holiday’s. 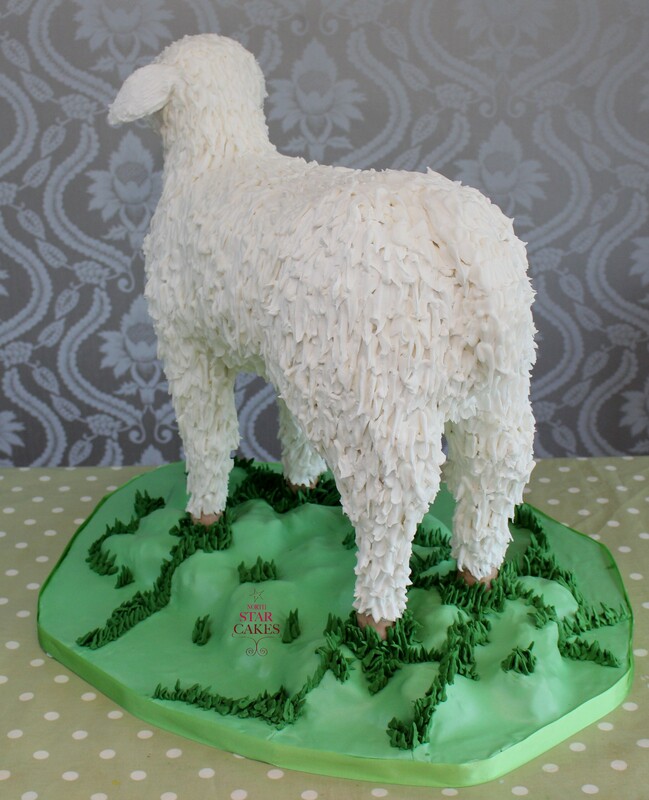 ‘Baa Larkin’ our Spring lamb cake was made by Award Winning CakeBomber Francesca Pitcher from North Star Cakes who is local to the new store in Aylesford, Maidstone. Local attraction, The Museum of Kent Life, attended the store opening in the form of Sarah Hirsch, with Francesca and store manager Amir Hawila. 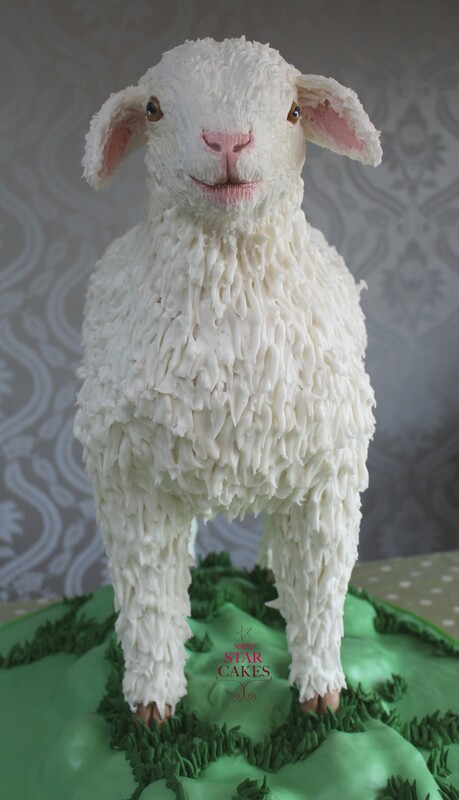 The life-size lamb cake was later donated to the Musuem by Oak Furniture Land for auction. Baa Larkin was named after Ma’ Larkin from the popular 90’s TV show ‘The Darling Buds of May’ because the Museum is home to Ma’ Larkin’s Kitchen set from the show, and which is still on display to the public. Having never made a lamb cake we were pretty interested to see the frame. Francesca carefully worked out the proportions for the body so that the straight rods were as far forward as possible to allow for the legs to be built up at the knee, hock and thigh to give the illusion of a backwards bending leg like a lamb. The legs were also made longer to allow for the ground to be built up on the boards underneath. 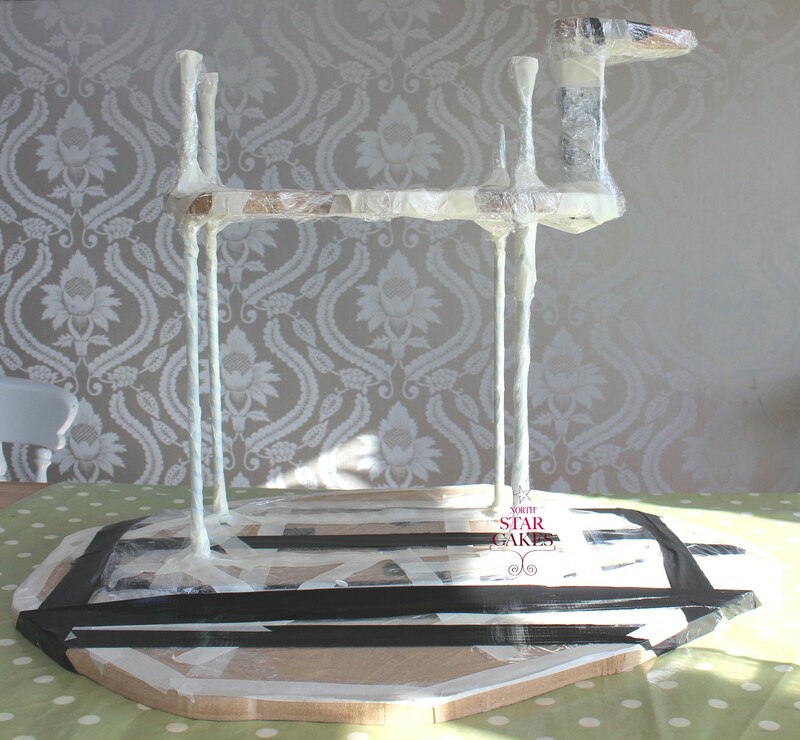 Proportionately shaped MDF ‘shelves’ were added at the deepest part of the belly and head to give much needed structural support and a base for the cake. MDF Frame for the life-size lamb made with threaded steel rods. Of the cake Francesca said this, ‘The frame had to be really solid, I knew that the cake would have to attend the photo call at the new store, and then be driven to the Musuem of Kent Life where it would be on display for a few days. After that the winning recipient would have to drive it home. So Baa’ Larkin needed to be very strong, and the only way to ensure a strong structure with no wobbles or cracks it to get out the tools and make a proper frame in MDF and threaded steel rods, which you then sanitise and make food safe. 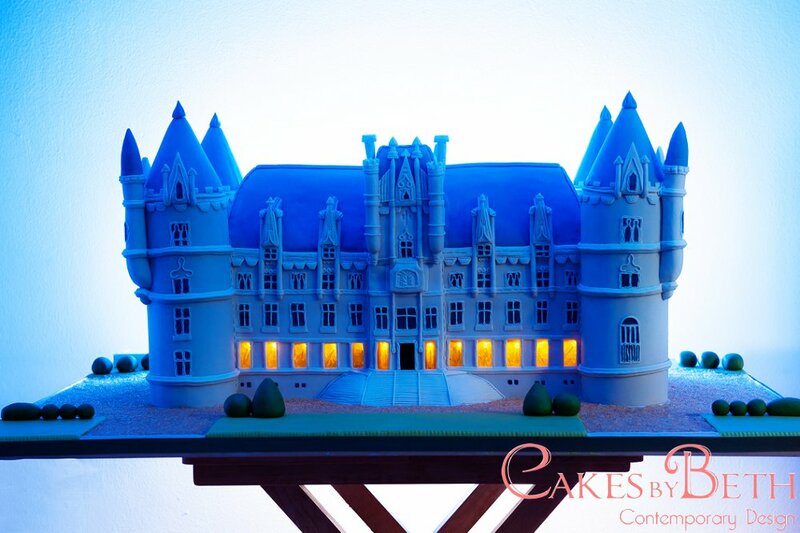 For this kind of structural bespoke cake, it really is the only way to be confident that the cake will remain perfectly upright and steady’. OK rail enthusiasts, can you tell me who Big Lizzie was? 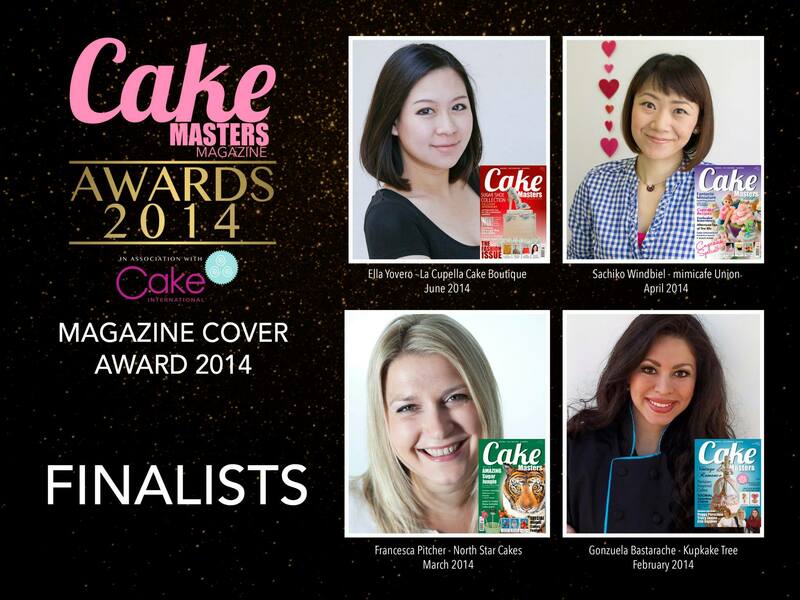 No, not your plus-size Aunty Betty. More accurate to ask, what was a Big Lizzie? They were the most powerful passenger steam locomotives ever to be built for the British railway network, far more powerful than the diesel engines that replaced them. William Stanier designed the passenger steam locomotives known as ‘Coronation Class’ for the London Midland and Scottish Railway, and they were around from 1937–1948. 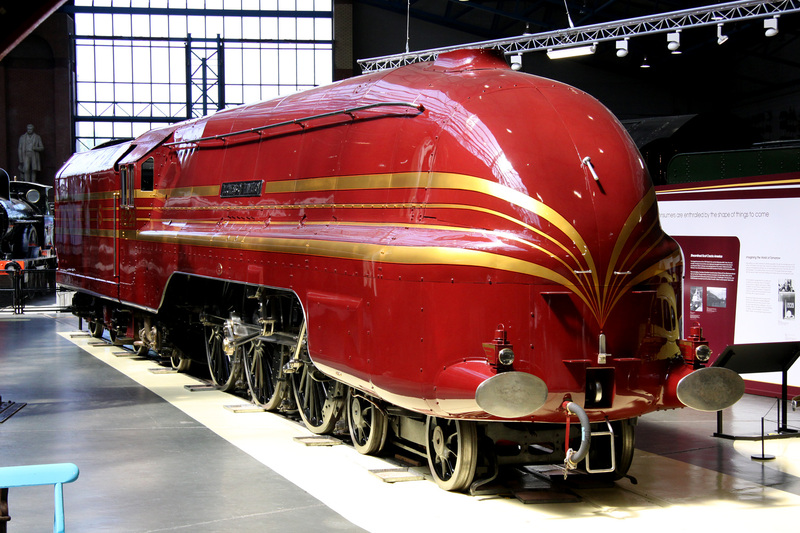 Several examples were originally built as streamlined, with the front end encased in smooth metal. The non-streamlined versions of these locomotives were often referred to as Duchesses, and the enginemen who worked with them referred to these as Big Lizzies. You can see this kind of train on show at the National Railway Museum in York in the form of the Duchess of Hamilton steam engine (picture at the bottom of this post.) She looks rather refined and stylish. I wouldn’t have dared to refer to her as Big Lizzie. 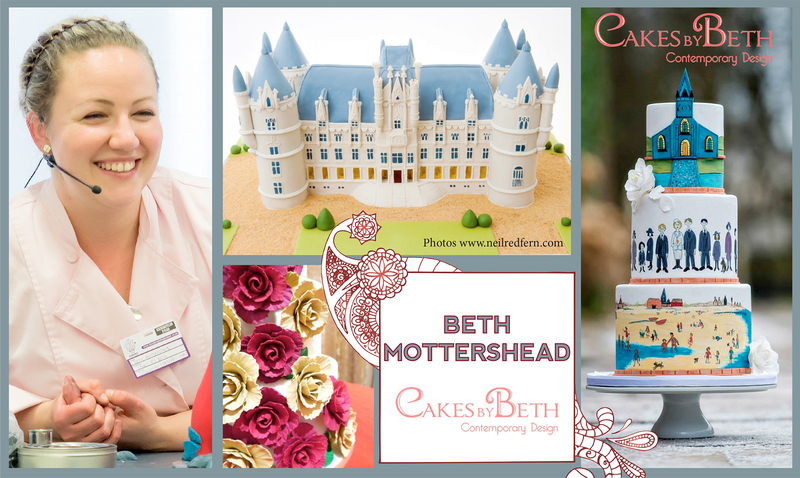 She’s a gorgeous specimen and so what better to use as a subject to be presented in cake form to the National Railway Museum by our own gorgeous specimen of baker, Molly Robbins of Molly’s Creative Cakes. Yes, you thought this had turned into a trainspotting blog. Tempting as it may be, we don’t have the spare time to hang about with binoculars at railway cuttings so we’ll probably just stick to cake. 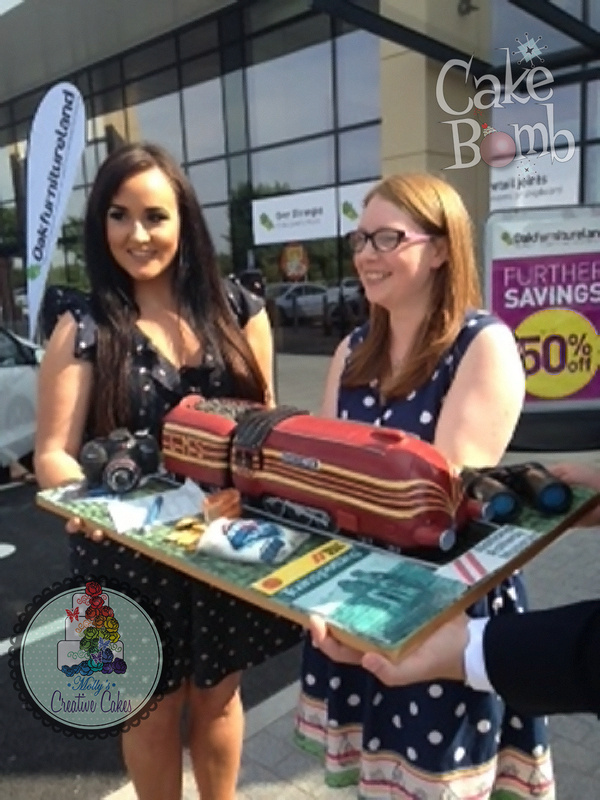 CakeBomb commissioned this 2-and-a-half foot cake version of The Duchess of Hamilton steam locomotive, sponsored by the new branch of Oak Furniture Land in York. Here’s our gorgeous Molly (left) and a local councillor at the opening of the York Oak Furniture Land store on Saturday. Photo by David Ingham from Bury, Lancashire, England. Source Wikipedia.